What's your weather like today? Here in Wisconsin we've got plenty of snow and plenty of cold. 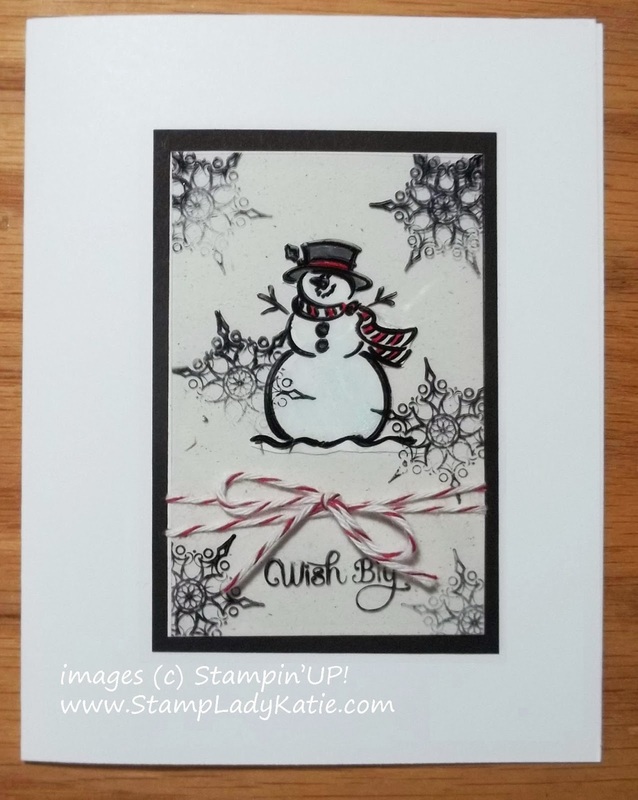 But this little snowman from the Best of Snow stamp set really warms my heart. He's just so happy looking. 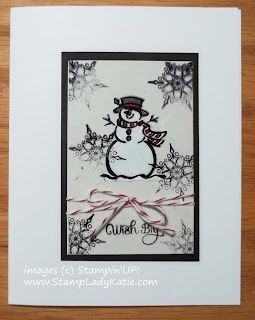 The Best of Snow set is part of Stampin'UP! 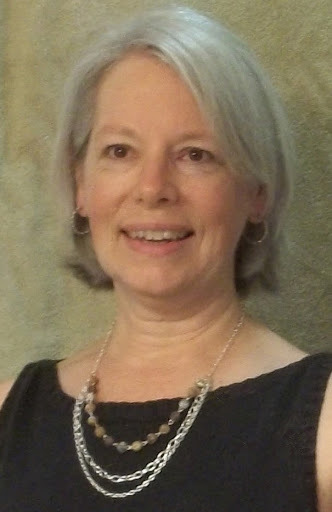 's celebration of 25 years in business. Each month of 2013 they released a new set of favorites from the past. The snowman was one of the Best of Snow. Did you notice the coloring on the snowman? See how he's whiter than his surroundings. The snowman and the snowflakes were first stamped on clear acetate. Then he was also stamped on white paper and his hat and scarf colored with markers. Then I cut him out with scissors and glued him to the back of the acetate. And finally the acetate was mounted on Naturals White paper. I like this paper because the natural flecks of color look a little snowy. By the way, the snowflake on this card is from the same stamp set. 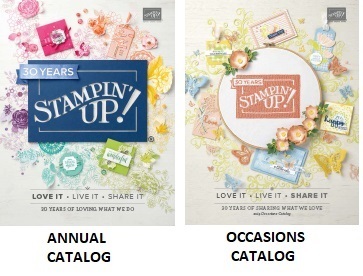 If you like getting stuff for free be sure to check out all 12 stamp sets in the series. 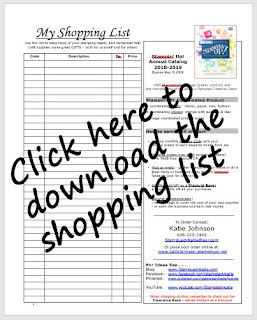 Buy 6 and get a FREE Stamp Set.